GlucaGen® HypoKit® may be ordered from your pharmaceutical wholesaler. It is also available at pharmacy retailers and requires a prescription. Novo Nordisk provides complimentary prescription drug samples to eligible practitioners for appropriate patients. 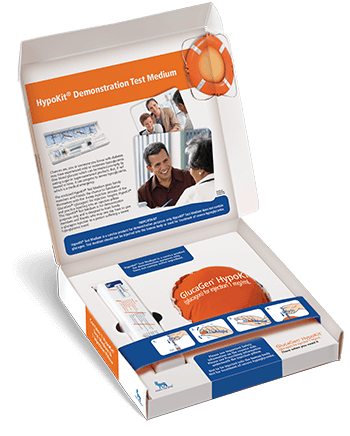 Click here to order a free GlucaGen® HypoKit® demonstration kit, which does not include active ingredient.